Two-time Brazilian Olympian Agnaldo Nunes, reigning International Boxing Association featherweight champion, has been matched against Brooklyn brawler Sharmir “Isa” Reyes in the eight-round co-feature on an explosive July 7 “Let Freedom Ring” championship pro boxing show at the Cape Cod Melody Tent in Hyannis, Massachusetts. Nunes (15-1-1, 8 KOs) is coming off of notable win by 10-round decision against Adalberto Borquez (12-1). Agnaldo’s also beaten Raymundo Beltran (16-2). His lone loss was in his seventh fight to Eric “Mighty Mouse” Aiken (8-1), the newly crowned IBF featherweight champion, by six- round decision (58-54, 57-55, 56-55). Last year, Reyes stunned 19-1-2 Luis Antonio Arceo with a first-round TKO. 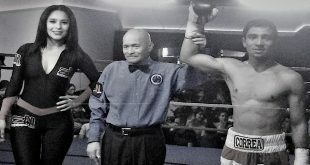 Sharmir lost a 12-round decision in his last fight to Montey Meza Clay (18-0) for the vacant IBA super featherweight title. 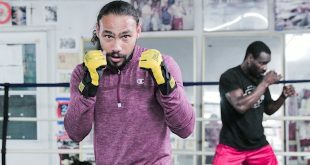 In a sensational six-round Special Super Welterweight Attraction, WBC No. 16 rated super welterweight Ossie Duran (21-5-1, 9 KOs), fighting out of Providence via Ghana, takes on Davis-trained Gilberto “Sugar” Reyes (18-3-1, 11 KOs), born in Lawrence (MA). Duran is the former Commonwealth light middleweight and welterweight champion whose victims include British lightweight champion Jamie Moore (20-1). Reyes lost his WBA Fedecentro welterweight title in his last fight to world-class veteran Cosme Rivera. Jimmy Burchfield’s Classic Entertainment & Sports, Inc. (CES) in association with Lincoln Park and Four Points Sheraton Hyannis Resort, is promoting “Let Freedom Ring,” which will be broadcast in New England on Saturday, July 8 at 7:00 PM/ET on CN8, The Comcast Network. The event will re-air network wide on Saturday, July 29 at 7:00 PM/ET. Replays will also be shown on Cox Sports Network at times to be announced. The 12-round main event finds USNBC super middleweight champion Joey “KO Kid” Spina (18-0-1, 13 KOs), rated No. 17 by the World Boxing Council, defending his title and fighting for the vacant IBF International championship against local favorite Jay Pina (16-1, 12 KOs), who is from nearby Falmouth (MA). 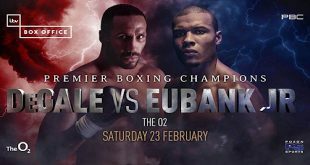 1, 16 KOs) battles former world heavyweight title challenger Charles Shufford (20-6, 9 KOs) in a six-round Special Heavyweight Attraction. 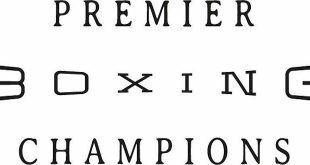 Also on the card in four-round bouts are two newly signed CES fighters, super lightweight Benjamin Kalinovic (3-0, 2 KOs), 2001-2002 Swedish Championship gold medallist, against Josh Burns (3-3-5, 1 KO); former Philadelphia amateur star, lightweight “Hammerin’” Hank Lundy, who in his pro debut is matched against TBA. Unbeaten Irish middleweight Joe “Sugar” Rea (5-0, 4 KOs) faces Valentino Jalomo (2-0) in a four-round bout. All bouts and boxers are subject to change. Tickets are priced at $40 and $50 (general admission), $75 (Silver VIP), $100 (Gold VIP) and a limited Jimmy’s Platinum Club tickets are available. To order tickets call CES (401.724.2253), the Cape Cod Melody Tent (508.775.5630) or go to www.ticketmaster. Tickets also are on sale at David’s Gym in South Dennis (508.394.7199), Pizza 1 â€“ Subs 2 in Falmouth (508.457.1212), Mike’s Barber Shop in Dennisport (508.798.8913), Cape Cod Nutrition in Hyannis (508.775.5697), and Goose Hummock in Orleans (508.255.0455). For additional information, or sponsorship/advertising opportunities, call CES or go to www.cesboxing.com. Doors open at 6:00 PM, first bout at 7:15 PM. Previous The Top Ten Greatest Ever Slugfests In Boxing History!